Author of "Walking Dickensian London"
Richard Jones first began operating his tours around the London of Charles Dickens in July 1982.
since then, he has built up a solid reputation for quality walks that transport participants back in time and give them the feeling that they are actually walking the streets of Victorian London. 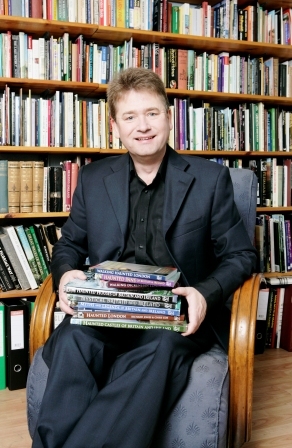 Richard has appeared on many television and radio programmes providing his expert insights into many aspects of Dickens life, times and works. He was particularly active on screen in February 2012, over the bi-centenary of Dickens birth, when he was called upon by the likes of the news programme London Tonight to take reporters around the London locations that loomed large in the life of Charles Dickens. In 2013 he appeared on ITV1 with Rory Bremner in a programme about the London of Charles Dickens, and on Channel 4 in a programme about Dickens final years. In early December 2014 he appeared on This morning showing impressionist John Culshaw around the streets that featured in John's favourite Dickens book Nicholas Nickleby. On Christmas Eve 2015 he featured on Channel 5's 50 Greatest Christmas Films Of All Time discussinmg the various movie versions of A Christmas Carol. Richard is also the author of the book Walking Dickensian London for which he conducted extensive research, ferreting out numerous little nuggets on Dickens involvement with the Capital and pinpointing houses, pubs, public buildings and other locations that boast associations with England's greatest ever novelist. The research for the book was a labour of love and, over a perid of five months, Richard was able to immerse himself in all things Dickensian! In total he put together 30 walks for the book and, in so doing, gained an unrivalled appreciation for and knowledge of places that featured in the life and works of the author. Researching the book took him all over London and he covered parts of the Capital that had never before featured in any guides to Dickensian London. 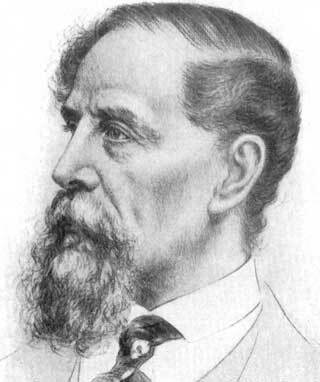 He also ventured down to Kent where he researched and wrote two walks - one on Rochetser and the second on the nearby countryside where Dickens lived during his final years. 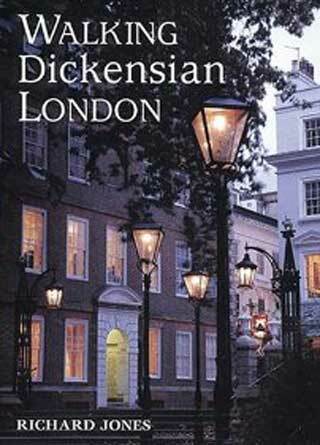 In 2015 Richard became the official guide for The Charles Dickens Museum in London and he put together a walking tour of the streets surrounding the house that was home to Dickens and his young family as he began making his name with the likes of Pickwick Papers and Oliver Twist. This tour takes place on selected Wednesdays throughout the year and Richard always dresses in Victorian costume to conduct it. Richard's dearest desire is, to the best of his ability, to bring Dickens London to life for those who join him on his walks. His tours weave together excerpts from the novels with observations and comments from those who knew Dickens to present a vivid insight into his personality, the forces that drove him, whilst also providing an understanding of the inspiration behind some of the most memorable characters and timeless scenes ever created by a novelist. His tours are as popular with those who are new to the works and life of Charles Dickens as they are with Dickens afficionados and participants on his walking tours often comment on how Richard was able to bring Dickensian London to life for them. Indeed, many who join him leave the tour vowing to read, or re-read, the novels that they have heard about in the course of the tour. You'll Feel As Though You've Gone Back In Time! In short, when you join Richard for a tour of the London of Charles Dickens, not only will you get to see some fascinating parts of London that you might otherwise miss, but you could also get the distinct feeling that you've been pitched back in time to find yourself walking the streets of the Victorian Metropolis in the company of the likes of Oliver Twist, David Copperfield, Mr Pickwick and Pip, together with a veritable host of other immortal characters.